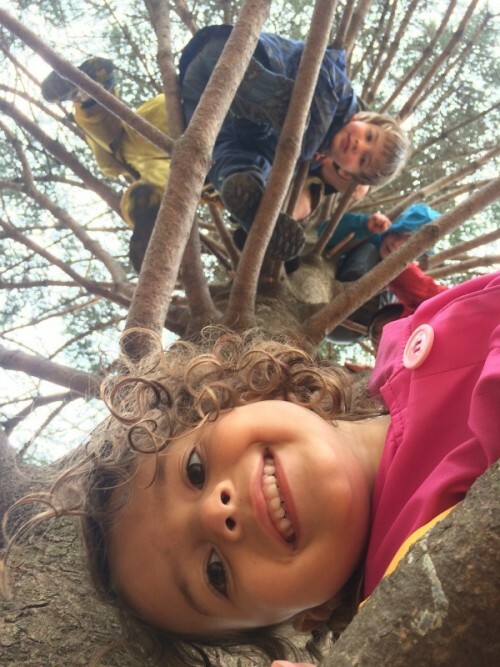 Here at Nature Preschool, the educators value tree climbing as well as the skills that this process facilitates in young children. We see the benefits, and believe in the experiential bond the children are making with nature, and more specifically—with trees. When a child climbs a tree, they are not only developing cognitive and physical skills, but social and emotional skills as well. In addition to the obvious skill of upper-body strengthening, the children are also developing self-confidence as they challenge themselves at their own pace. This type of self-monitoring teaches the children mindfulness through the keen bodily awareness required to become a successful climber. With continued success, the children develop a crucial sense of empowerment. Young children rarely feel that they are in control of their busy day, unless they are provided opportunities to make their own choices. 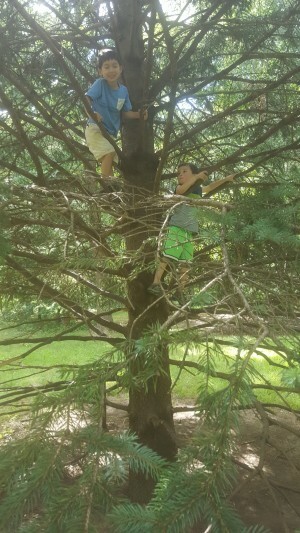 Tree climbing provides choice and organically builds perseverance. The art of tree climbing builds problem-solving skills as well as risk assessment. As they climb, the children begin to establish an internal monologue through questioning. 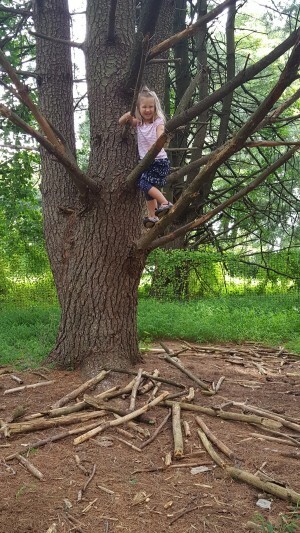 Through modeling and experience, they begin to ask, “How can I climb around the child above me?” “Is this tree branch sturdy enough to hold me?” “Do I feel safe being this high?” These types of questions help children frame or visualize their path up the tree and—sometimes even harder—the path downwards. As they reach for higher branches with their feet and hands, children develop the lateralization function of their brains, establishing a connection between the left and right hemispheres. Resilience builds as children try out different trees, using different branches and taking new paths. Self-determination sparkles in the eyes of these skilled little climbers as they coordinate their muscles to get up into that special tree. With some guidance, we’ve found that young children will utilize their innate risk assessment skills. The benefits of tree climbing are organic, self-directed, and specialized to each and every climber. I encourage you to get out in nature, find your special tree and start climbing. 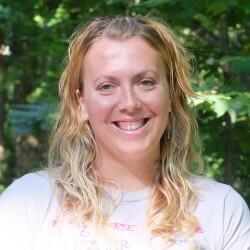 Alyssa Maley is Lead Preschool Teacher of the Sycamore class in Nature Preschool at the Schuylkill Center for Environmental Education. She has worked with young children for ten years, and spent the last three guiding children as they climb trees in Nature Preschool. She recently became a parent, and looks forward to the days where she can climb trees with her daughter. 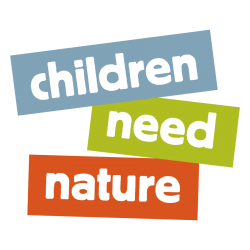 This entry was posted in Children Need Nature, Education, Nature Preschool and tagged children need nature, childrenandnaturenetwork, nature preschool. Bookmark the permalink.